It’s no fad. Feeds filled with food photos are here to stay. And we love it. We love how food fuels artistry. And there’s nothing better than a spot-on food shot to get your creative juices flowing and your stomach rumbling. Here are five easy tips for getting that perfect shot. Photography is light. Without pleasing light, your photos will fall flat. It sounds counter productive, but try turning off all your lights and use just one source. Natural light is best. Window light, especially in the evening, is ideal. Try setting your food next to a window with non-direct lighting and watch your image quality improve dramatically. If you like what you see, try adding a large white poster board or even a sheet to fill in. 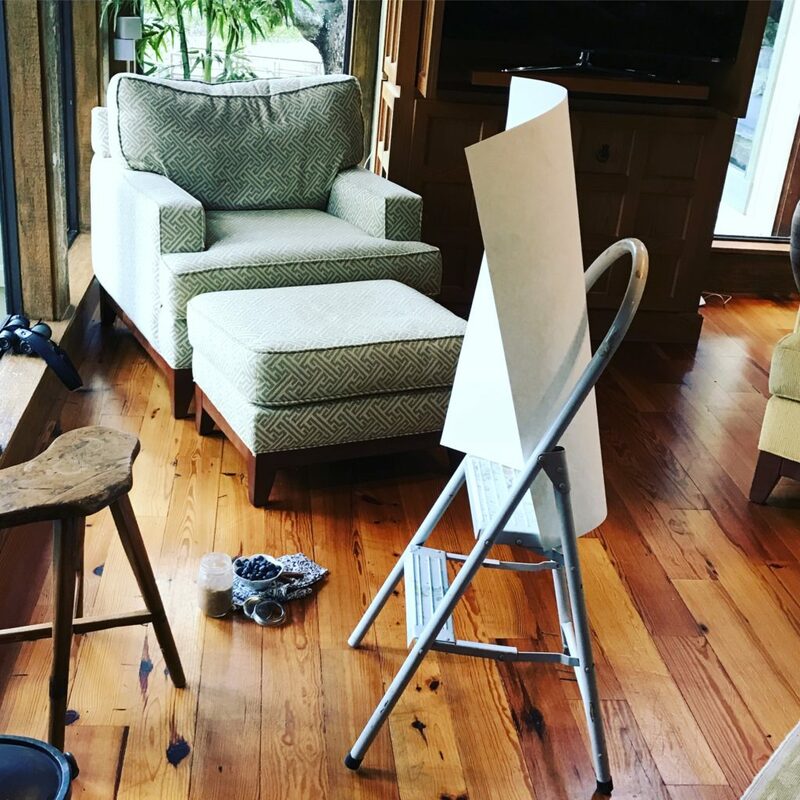 No need for special equipment–check out our makeshift bounce card with optional step ladder stand. Command the light, and your images should look 1000 times better. Turn off Auto Focus and Exposure Settings on your phone. On the iphone, it’s this simple: touch the screen and hold down until the exposure locks. You’ll see a yellow box and a little sun icon. Drag the sun to adjust the exposure. Remember this rule of thumb: underexposing is better than overexposing. There are apps that can help, too. We like Manual for full control of both focus and exposure. Don’t try to add too much to your images. Sometimes what happened on the plate is the entire story. Adding too many layers with props and textiles can come off as busy rather than artful. 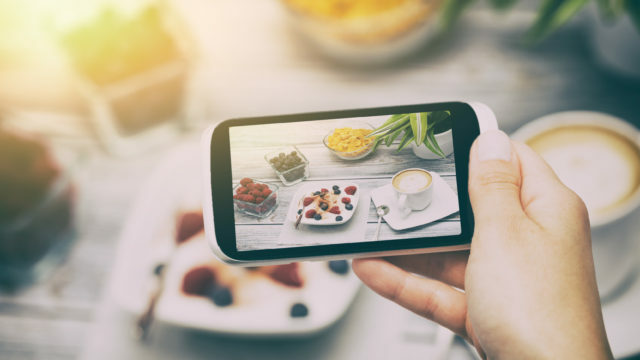 Take care when copying food photography trends. Just because everyone is posting an overhead shot of two cupped hands holding a mug or piece of fruit doesn’t mean you have to do it. Find your style and avoid falling into a “look” that can become dated. And put down the tweezers. Over stylized food can come off as insincere. Let that piece of parsley that went astray be there. Consider the color palette when shooting. Brown food (fried dishes, soups, stews) need a serious pop of color. 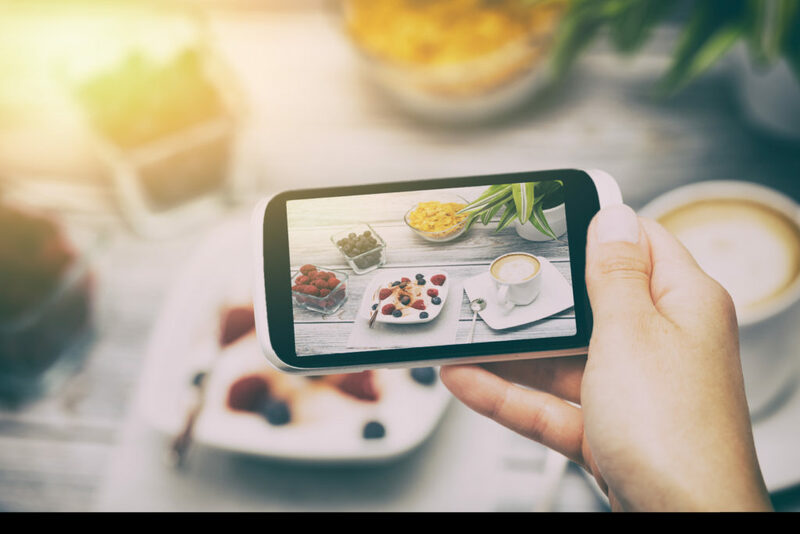 For colorful foods, include items in the shot with complimentary colors. Beautiful red strawberries are complimented by green. That carrot souffle? Add a royal blue plate or napkin for a share-worthy shot. 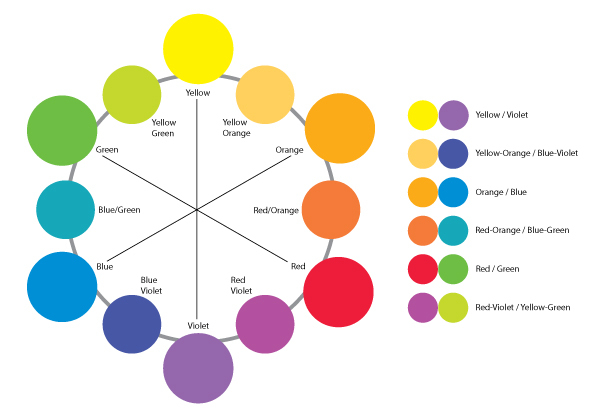 Here’s a quick guide to complimentary colors. Don’t become dependent on filters to fix your photos. Work to create pleasing shots and turn to filters only on occasion. We avoid the built-in filters in Instagram and other platforms. When we do need a filter, we turn to vsco.